Gwenllian, daughter of Llywelyn ap Gruffudd was born on 12th June 1282 at Garth Celyn Abergwyngregyn. Eleanor de Montfort, daughter of the French baron Simon de Montfort, was her mother. Eleanor died shortly after the birth of Gwenllian at Pen-y Bryn in Abergwyngregyn where she had spent a period of three years as a prisoner of the English Crown. Her father and mother had been married at Worcester and Gwenllian was the only child of the marriage. The marriage seems to have been a love match as Llywelyn did not father any illegitimate children. Not only was Gwenllian the heiress of the royal family of Aberffraw, she was also related, through her mother Eleanor, to the crown of England: her great-grandfather was King John of England. Gwenllian was only a few months old when North Wales was threatened by the English army. Her father was killed near Irfon Bridge on 11th December 1282. There are several conflicting accounts of her father’s death, however it is widely agreed that Llywelyn was tricked into straying from the bulk of his army and was then attacked and killed. Monument to Llywelyn at CilmeriLlywelyn had been forced to accept the terms of the Treaty of Woodstock in 1274 which limited him to Gwynedd Uwch Conwy (the area of Gwynedd west of the River Conwy) with King Henry III occupying the east of the river. When Llywelyn’s brother Dafydd ap Gruffudd came of age, King Henry proposed he be given a section of the already much reduced in size Gwynedd. Llywelyn refused to accept this further division of the land, resulting in the Battle of Bryn Derwin in 1255. Llywelyn won this battle and became sole ruler of Gwynedd Uwch Conwy. Llywelyn was now looking to expand his control. The Perfeddwlad was under the control of the king of England and its population resented English rule. An appeal was made to Llywelyn who crossed the River Conwy with an army. By December 1256, he was in control of the entirety of Gwynedd except for the castles of Dyserth and Dnoredudd. An English army led by Stephen Bauzan attempted to invade in order to restore Rhys Fychan, who had previously paid homage to King Henry, to the Perfeddwlad. However Welsh forces defeated Bauzan at the Battle of Cadfan in 1257. Llywelyn now began to use the title of the King of Wales. This was accepted both by his supporters and some members of the Scottish nobility, significantly the Comyn family. Following a series of campaigns and territorial victories and the support of the Papal legate, Ottobuono, Llywelyn was recognized as Prince of Wales by King Henry in the Treaty of Montgomery in 1267. This was the highest point of Llywelyn’s power, since his desire for territorial advancement was gradually decreasing his popularity within Wales, especially with the princes of South Wales and other leaders. There was even a plot by Llywelyn’s brother Dafydd and Gruffudd ap Gwenwynwyn to assassinate the Prince. They failed due to a snowstorm and so fled to England where they continued to carry out raids on Llywelyn’s land. In 1272 King Edward died and was succeeded by his son, Edward I. 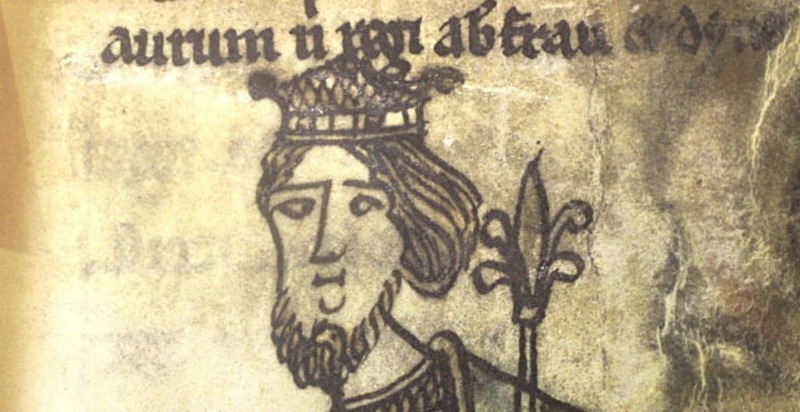 In 1276 King Edward gathered a large army and invaded Wales, declaring Llywelyn a rebel. Once Edward’s army had reached the River Conwy they captured Anglesey and took control over the harvest in the area, depriving Llywelyn and his followers of food and forcing them to sign the punitive Treaty of Aberconwy. This again confined his authority to Gwynedd Uwch Conwy and forced him to accept King Edward as his sovereign. At this time several of the Welsh leaders were becoming increasingly frustrated with the tax collections made by Royal officers and so on Palm Sunday 1277, Dafydd ap Gruffudd attacked the English at Hawarden Castle. The revolt spread quickly, forcing Wales into a war for which they weren’t prepared. According to a letter to the Archbishop of Canterbury, Llywelyn was not involved in orchestrating the revolt. However, he felt obliged to support his brother Dafydd. Six months following the death of Gwenllian’s father, Wales fell under Norman control. Gwenllian, along with the daughters of her uncle Dafydd ap Gruffudd, were placed under the care of a convent (Gilbertine Priory) at Sempringham, Lincolnshire, where she would spend the rest of her life. Since she was Princess of Wales she was a significant threat to the King of England. Edward I retained the title of Prince of Wales for the English crown and his son Edward was crowned in Caernarfon in 1301. To this day the title Prince of Wales is given to the heir apparent to the English crown. Edward’s aim was to prevent Gwenllian from marrying and producing heirs who could claim the Principality of Wales. Furthermore, Sempringham Priory was chosen due to its remote location and since within the Gilbertine order, the nuns were kept hidden behind high walls at all times. As she was so young when she was removed from Wales it is likely that Gwenllian never learned the Welsh language. Therefore it is unlikely that she ever knew the correct pronunciation of her own name, often spelling it Wentliane or Wencilian. Her death at the priory was recorded in June 1337 at 54 years old. Her male cousins (Dafydd’s young sons) were taken to Bristol Castle where they were held captive. Llywelyn ap Dafydd died there four years after his imprisonment. His brother Owain ap Dafydd was never released from imprisonment. King Edward even ordered a cage made of timber bound with iron in which Owain was to be held at night. A memorial has been erected near Sempringham Abbey and there is also a display of Gwenllian within the church. By Catrin Beynon. Catrin is a history student at Howell’s College. With a keen interest in Welsh and British history, she hopes you enjoyed reading this article as much as she enjoyed researching it! Princess Nest, nicknamed ‘Helen of Wales’, was renowned for her beauty; like Helen of Troy, her good looks led to her abduction and civil war.